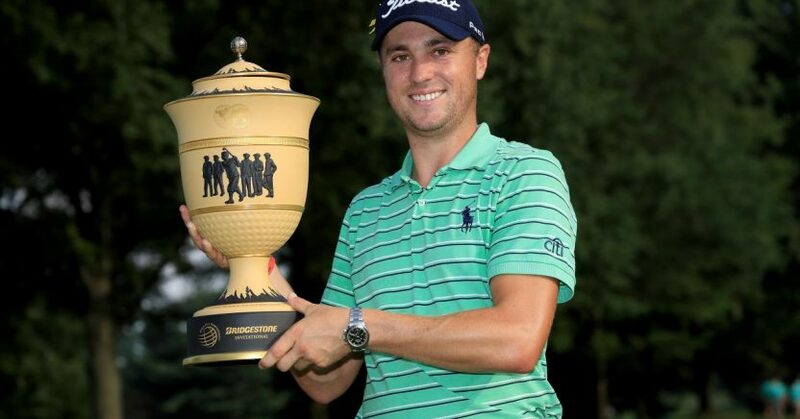 Justin Thomas cruised to his maiden World Golf Championship title with a commanding four-shot victory at the WGC-Bridgestone Invitational in Ohio. As Firestone Country Club made life difficult for the world’s best players on day four, third round leader Thomas kept out of trouble, carding two birdies and a single bogey to get to 15 under par and secure a comfortable victory. Thomas, who will defend his US PGA Championship title at Bellerive Country Club next week, was the only man in the final two groups to break par on Sunday with a closing 69 – his fourth straight round in the sixties. American Kyle Stanley finished alone in second place on 11 under after mixing five birdies with three bogeys, one stroke clear of Dane Thorbjørn Olesen and Dustin Johnson after they closed with matching 64s. US Open Champion Brooks Koepka was another shot back in fifth, one ahead of Rory McIlroy (73), Anirban Lahiri (68), and American pair Aaron Wise and Patrick Cantlay. Ian Poulter, who opened up the tournament with an eight-under par 62, dropped into a share of 10thplace with a closing 74.